If Hellblade: Senua's Sacrifice is anything other than an enjoyable video game, it's a value proposition. Developers Ninja Theory are no stranger to big budgets; they made Heavenly Sword for Sony, Enslaved: Odyssey to the West for just about every platform, and the most recent Devil May Cry game for Capcom. They know how to spend money, so it's interesting that they've separated from big publishers to develop and publish Hellblade at a $30 price. The end product is mostly good. 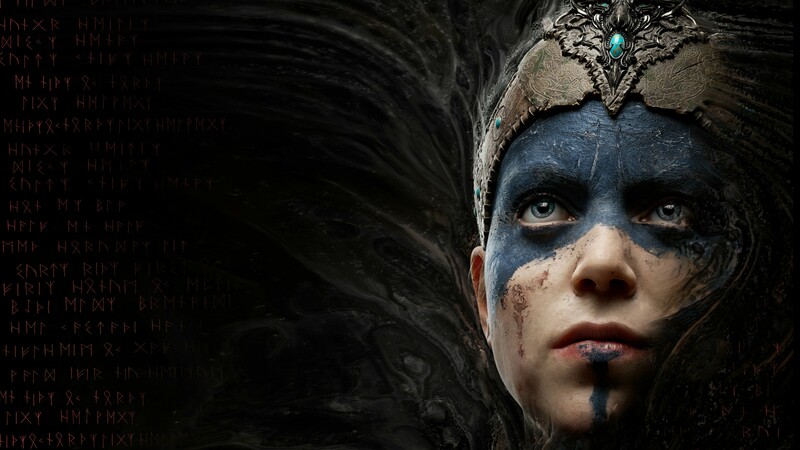 In Hellblade, you play as titular Senua, traveling deep into Nordic territory to rescue the soul of your murdered lover. In the vein of what Ninja Theory does best, it's a third person character action game. What makes Hellblade unique is that Senua suffers from hearing disembodied voices and seeing things that don't exist. A lot of the marketing around the game has to do with the challenge in trying to portray a character with mental illness. Plenty of games have tried and it's almost always a flat portrayal of someone who's zany or unpredictable without a lot of nuance. With the help of consultants in the neurological sciences, Ninja Theory has crafted a tortured, sympathetic character in Senua. Another aspect of the game that reflects Ninja Theory's experience and skill is in the look of it. It's a beautiful game with some really incredible motion capture, particularly in the faces. They don't look like video game faces; they're expressive and emotional every time you see them. This really helps with connecting to the characters and feeling what they feel. While they nailed the characters and look of the game, the game parts are kind of lacking. Each level of the game will have you doing one of two things: finding hidden objects in the environment, or fighting. The hidden object stuff is mostly clever, but it's almost always boiled down to aligning objects in the right perspective to find the symbol you're looking for. It doesn't change much from beginning to end. The combat is also not very robust. There are five enemies, excluding bosses, that you will encounter in small groups. The challenge is to keep them away from your back as they'll try to flank you to attack. With infinite ability to dodge, and most attacks blockable, the only thing that has to be figured out is reading attacks to time blocks (or dodge), and how many whacks it's going to take to kill the enemy. It's fun for a while, but it really wore me down by the end. You've got one weapon, so once you've figured out how to use it, combat loses its shine. But the thin combat and environment puzzles couldn't keep me from seeing it through to the end. Senua and the darkness that haunts her was compelling enough on her own to keep me playing. What Ninja Theory set out to do, make a high quality game at an indie price point, is successful as long as you keep your expectations at the sub-blockbuster level.